Last week was very busy for our small family. We started off the week with our usual feed store run and followed it up with school for the boys. I pushed Tractor Man a bit harder than normal so we could get ahead of schedule. 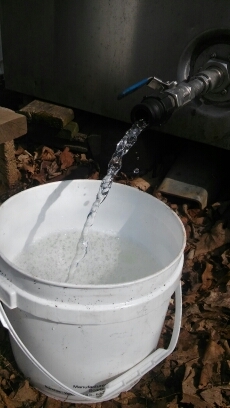 Tuesday we traveled the four hours to my mom’s house where we were ready to help with the yearly sap overload. After my Dad passed away, almost five years ago now, Sir Swine and I encouraged my Mom to keep tapping trees. She enjoys it but it is also a lot of work! She has forty acres and taps a good five to seven acres each year. Sap bags. 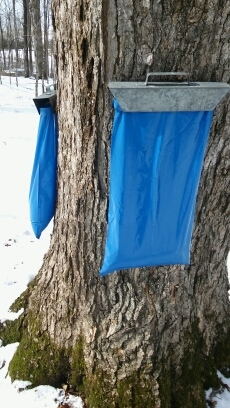 The rest of our Trees are on sap lines or tubing. I grew up with this lifestyle. It was a great way for me to learn discipline, responsibility and how to work as a family. The money our family made was saved every year in a family vacation fund. It was also a great place to be free, imagine being a pioneer or Pocahontas. Yup, I did that. So of course I want the boys to experience this too. Tag Along was in charge of helping bring sticks and watching the dogs run. Tractor Man helped hold hoses, carry wood and haul extra sap that we had, which was over 400 gallons so far this year. He was paid in maple candy, good old fun and a wonderous dollar that he chose to save for a toy truck he wants. He has now save $8 total!!! So proud of him. I don’t expect the boys to learn or do much at this point in their lives. Right now I just want them there, building memories with my mom, Ga-Ga, and me. It’s a family moment and a wonderful chance to teach them about living off the land. 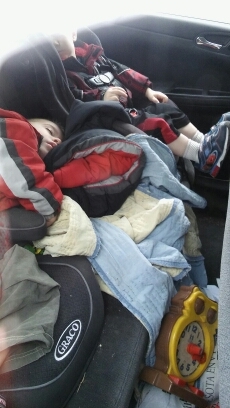 Someday I hope our boys will teach their children this way of life. The love of land, trees and all things simple in life. 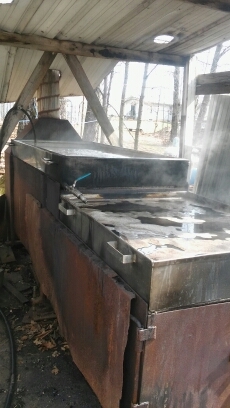 After all, what is more simple than boiling 40-80 gallons of sap to get one delicious gallon of maple syrup?!?! Store bought just cannot compare to a batch from scratch. It isn’t even tiring…just exhausting sometimes. 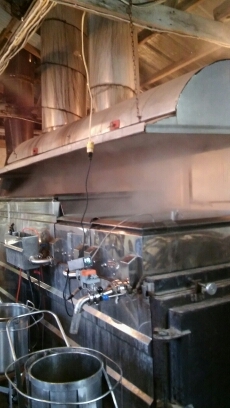 If you have never been lucky enough to try homemade REAL maple syrup-do it this year. 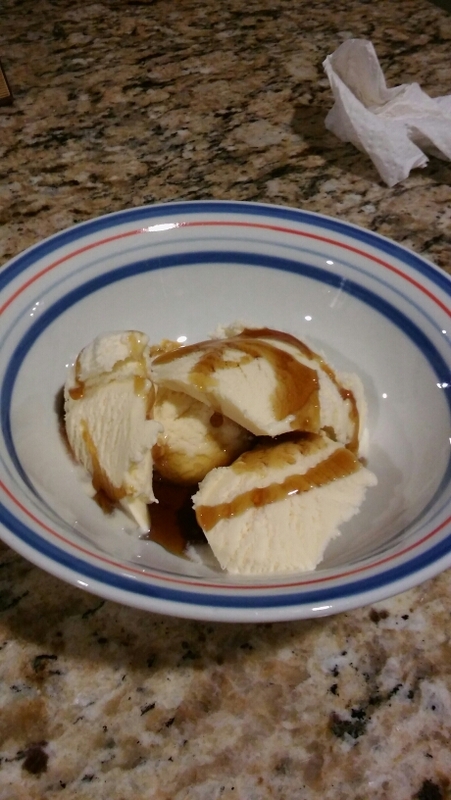 Oh and drizzle a bit over vanilla ice cream. Like to take a moment to honor a local from my hometown. 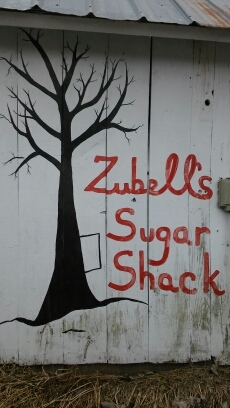 Zubell’s Sugar Shack has been a wonderful place to visit every year. So happy to be friends with the entire family. Your new cooking system is amazing!